Here is a scary-looking template. It is a simulation of bacteria type shape under an electron microscope. Jonathan produced it using a 3d package called blender. 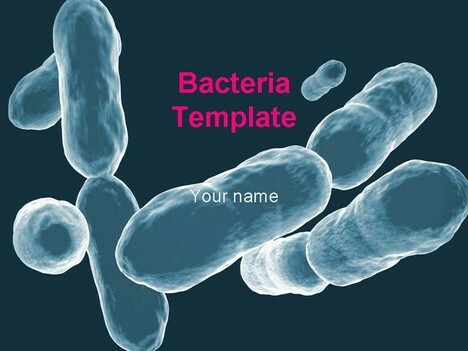 This bacteria PowerPoint template could be used for a medical presentation or for a talk about bacteria, micro-organisms, stem cells, probiotics, common colds, flu, spores, infection or even a pandemic. It could also be used as a background for talk about a virus. its superb.. thanks a ton.. Very nice! This will be a big help. I’m going to use this for bacteria/biotech presentation for school. Hm, very useful for my lectures concernig fermentation. Thanks. 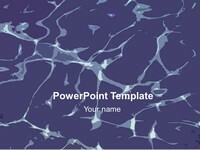 I recently used the one with virus in my presentation,It was a real succes,and this one is way better thank you for these free templates.you’re doing a fine job. Wait… how do you get the template? This is great! With so many bugs in hospital setting, this will be a wonderful visual in presentation concerning Infection Control! 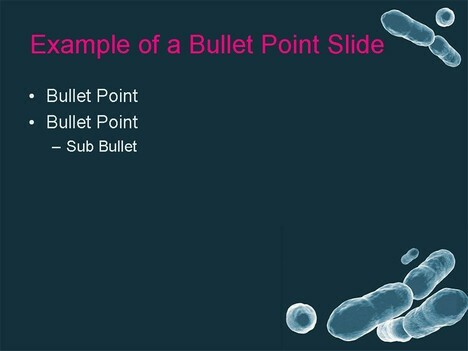 very good…will be used for my presentation on bacteria. 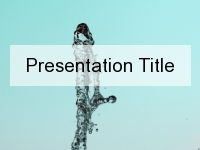 My group is doing a public health presentation. Utmost gratitude for this free template. A big help for my presentation. More power. Thank you. Keep the good work going! 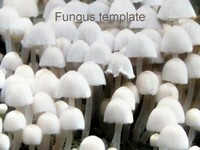 Wonderful templates…I teach various subjects, and I have run out of nice templates to keep the student’s interest. 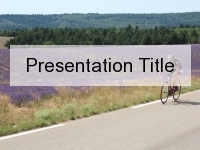 I will have your website on the last slide. Thanks. it’s great! 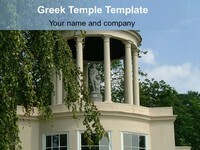 I want to use this template for my presentation. Could you help me? We decided to use this for a staff training presentation about Food Safety. Thanks! It’s fantastic!